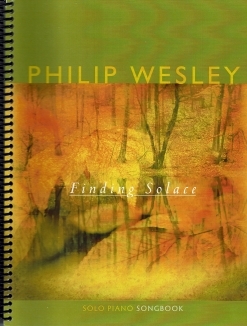 Finding Solace is the companion sheet music book to Philip Wesley’s 2003 debut CD by the same name. All twelve piano solos from the album are included, notated to match the recording as closely as possible. The book is spiral-bound with full-color covers, and the music is printed on a medium-weight bright white paper stock. The notation is clear and easy to read with suggested pedal markings and metronome settings. Most of the pieces are at an upper-intermediate to early-advanced playing level, and there are only a few reaches of more than an octave. The music expresses a variety of emotions, making the book a lot of fun to play. 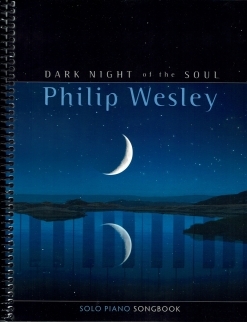 The rhythms are fairly straight-forward, although there are quite a few time signature changes within the pieces - something that happens a lot in Wesley’s music, but that doesn’t make it any more difficult. I should probably mention that the arrangement of “Lamentations of the Heart” is the one from the Finding Solace album, which is a little different from the version on Dark Night of the Soul. 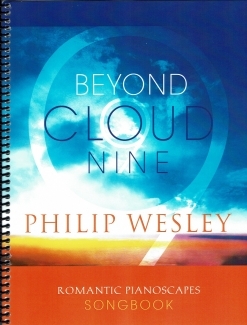 (I mention that because this is one of Philip’s most popular pieces.) 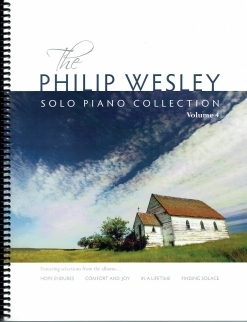 Finding Solace is available exclusively from www.PhilipWesley.com in either a printed version or as a download; downloads of the individual pieces are also available there. Recommended!